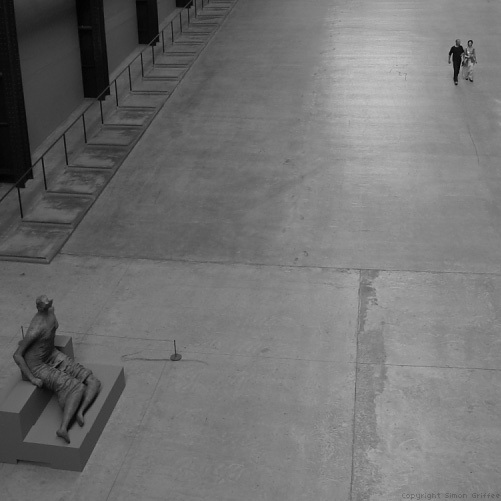 Another shot taken in the Tate Modern, along with the previously published Man, Woman and Statue (Tate Modern Turbine Hall. ), Still Life (Going up the escalator. ), and, on a different visit, Reflection, Turbine Hall (Weather Project). More to come from this location.